The Movilume Lighting System provides you the ability to illuminate, accessorize, or enhance your home or business. Each individual light is controllable, giving our customers the ability to customize the color, pattern and brightness of their lighting. How do I get the Movilume Lighting System installed on my home or business? 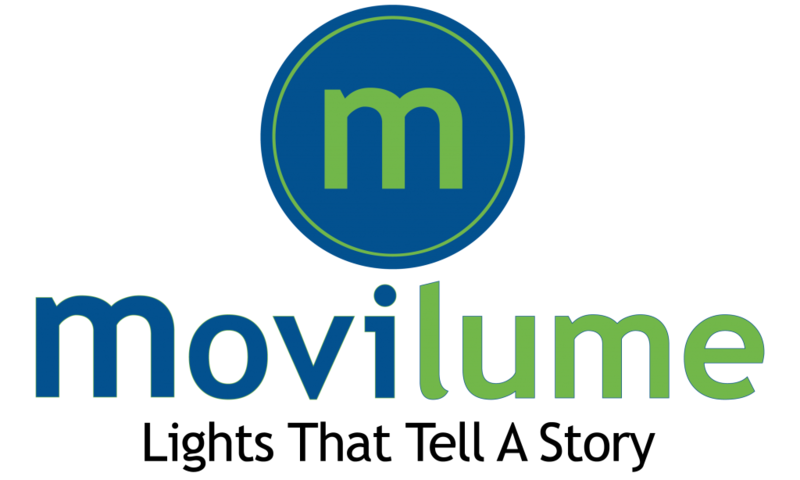 The Movilume Lighting System is not a direct to consumer product; it is made available to installers who have the skill, tools and training necessary to install the product. How much does the Movilume Lighting System cost? The cost of our lighting is dependent on the amount of lighting desired, the general layout of the building and location on the building. Does the Movilume Lighting System come preprogrammed with only one colour sequence and setting? The Movilume Lighting System comes with thousands of vibrant colors and animation patterns available. As well, we have our designers and engineers developing new combinations of colors and patterns. Custom and corporate pantone colors are attainable as well. Ask your local installer for more information! Can I install the Movilume Lighting System myself? Although our installers appreciate how straightforward installing the Movilume Lighting System is, it does require training to understand how the components of the system work together. For that reason, the Movilume lighting system is not sold directly to end users. Why is the Movilume Lighting System so energy efficient? Movilume lighting system uses some of the most advanced manufacturing and engineering technology to maximize that efficiency. Additionally, we can’t ignore the amount of energy that goes into the manufacturing of standard “disposable” decorative lighting. This is dependent on the amount of product being used, as well as the complexity of the installation (layout of the home or building, number of peaks/floors, etc.). For an experienced installer, it can take less than a day to light up an entire residence. How long is Movilume guaranteed for? The Movilume Lighting System is composed of a few different components. We are proud to provide a warranty on the light modules and tracking system for as long as you own your home We provide a 3-year warranty on the controllers and a 2-year warranty on the power supplies. Which mobile devices does Movilume work with? Movilume’s app has been developed to be compatible with Apple iOS devices. Can I use the Movilume Lighting System around my pool? The Movilume Lighting System was developed to withstand high humidity situations, but is not designed for underwater or direct water contact. Whenever dealing with electricity and water, consult a licensed electrician! What is the track made of? The Movilume lighting system uses high-quality aluminum formed by high-precision machining to perfectly fit with a polycarbonate lens, which diffuses the light and offers protection against dust and water. Together it provides a low-profile and, when the lights are off, unobtrusive and unnoticeable addition to any home or business. Every component of the Movilume Lighting System is designed to withstand the extremes in temperature and weather that we face in Canada and the United States. The track and lens system is specifically designed to prevent dust, rain or snow from accessing and soiling the LED lighting elements. Yes. Contact us today for more information. Where in Canada do you ship? If you have a commercial shipper that comes to where you are, we will ship to you! Do I need to have the Movilume Lighting System reinstalled every year? No! The Movilume Lighting System is designed to be installed once and to remain there for the life of your home or building. if you do it right, they will last forever. Our lights are designed to last! LED strip lights by Movilume are designed and built with aircraft grade aluminum and polycarbonate lenses.